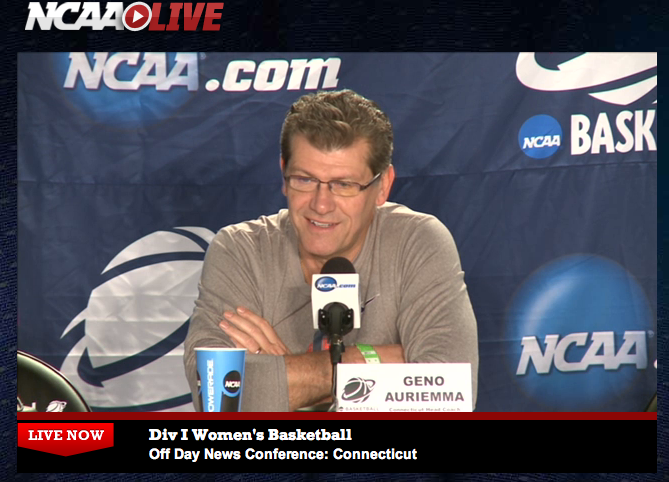 The NCAA and Hammond Communications has once again chosen Audio 911 to provide audio services for the NCAA Division I Women’s Basketball Tournament in Bridgeport, CT. Press conference and post game audio was amplified to the press room, distributed to mult-boxes for the media, to the Game Creek/ESPN truck, as well as to the live stream on NCAA.com. Webster Bank Arena at Harbor Yard is the regional host site for the 2013 NCAA Division I Women’s Basketball Championship. This entry was posted in Audio 911 News on March 30, 2013 by Steve Wytas.